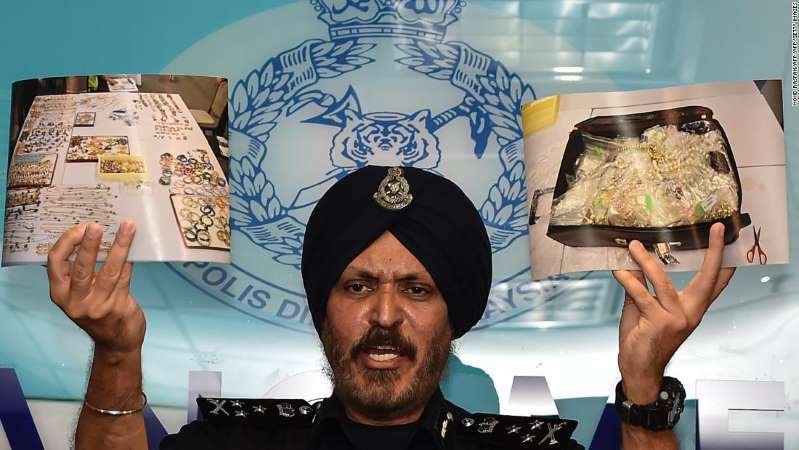 Najib and his wife Rosmah Mansor will be called into questioning at a later date, Malaysia's Commercial Crime Investigation Department (CCID) director Amar Ishar Singh said Wednesday, without providing a specific timeline. The searches carried out in May on properties belonging to the former leader soon after his stunning election loss to veteran politician Mahathir Mohamad, who came out of retirement to challenge him. Documents relating to the 1MDB scandal were retrieved in the raids, police previously said. Both Najib and Rosmah are currently banned from leaving the country. In a press conference Wednesday, police said the value of jewelry and gemstones seized was over $109 million, while around $12 million worth of Hermes handbags were confiscated, along with over $100 million worth of cash and other luxury goods. The most expensive item seized was a gold necklace with white diamonds, valued at $1.5 million. According to an investigation by the US Justice Department, Malaysian financier Jho Low used $1.3 million of funds misappropriated from 1MDB to buy 27 different 18-carat gold necklaces and bracelets for the wife of someone listed in the complaint as "Malaysian Official 1." That official has been widelyreported to be Najib. The US is currently seeking to recover around $540 million misappropriated from the 1MDB fund, with more than $1.7 billion of assets subject to forfeiture under the Kleptocracy Asset Recovery Initiative. Some of those assets include profits from the Martin Scorsese film "The Wolf of Wall Street," which was financed by a company associated with 1MDB, as well as properties linked to Low and others. Mahathir, who succeeded Najib as prime minister in May, has promised to hold his former protege accountable. 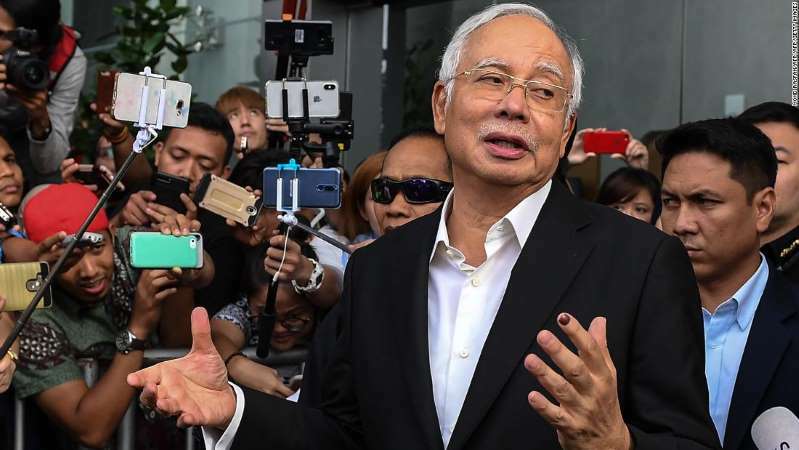 Items seized from six premises linked to ousted Malaysian leader Najib Razak, including cash, a vast stash of jewelry and luxury handbags, are worth up to $270 million, police said.